Here's the text of an email I sent to them. * Get info (account number, balance, etc.) about my bank account, loan account, deposits, etc. This list is by no means exhaustive, but even leaking this much info about your users to a third party is extremely worrying. This is serious enough that I am considering moving to another bank where my privacy is taken more seriously. 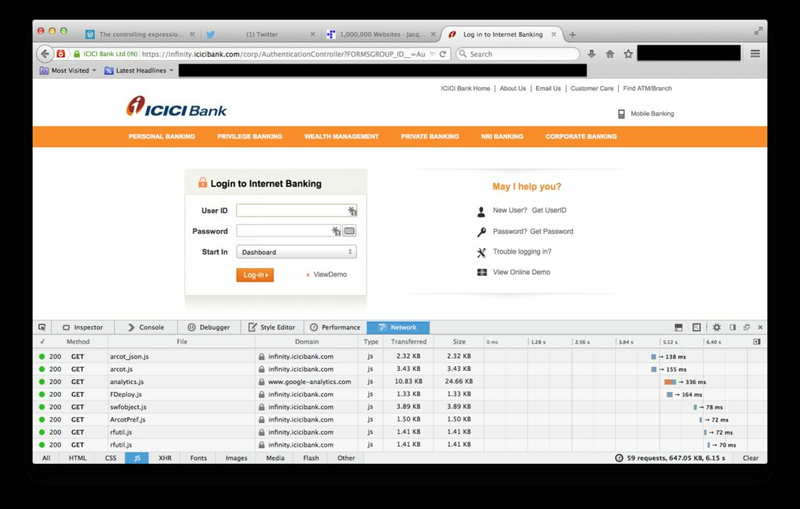 For the sake of your users, please remove all references to these external scripts from your netbanking website on a priority. Now, many websites trust Google Analytics to provide them insights about their users, and in many cases you might be able to argue that its fine if a script is provided directly by Google. However, my bank account details are too sensitive for Google or any other third party to be given unfettered access like this, no matter how much you may trust them. 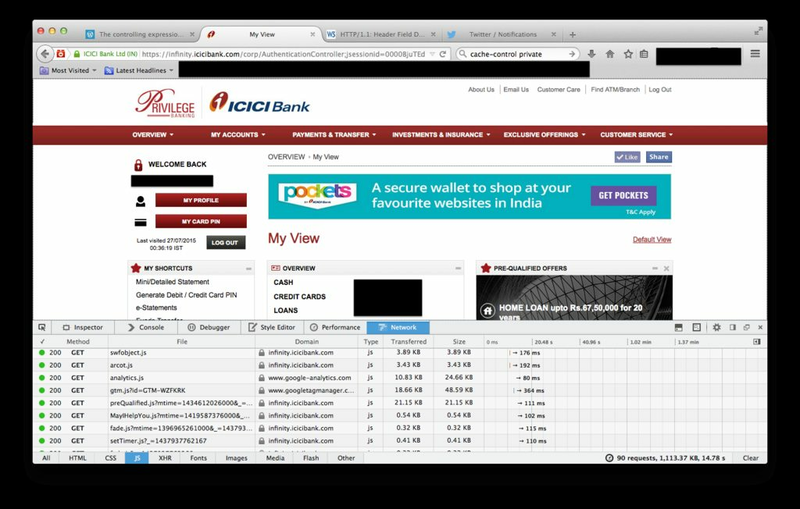 I hope ICICI Bank will remove Google's scripts from their netbanking website soon.